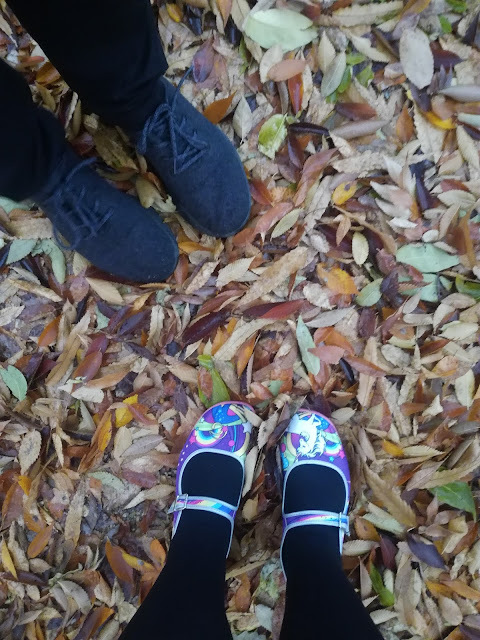 Hello to anyone that may still be following this little blog of mine, I've decided to finally close the doors on Adventures of a girl from the Naki - it's been fun - but it's not for me any longer. However, I have decided that rather than give up on blogging entirely, I'd like to start afresh with a clearer focus - so if there is still anyone here that's interested (or if there's anyone here at all) I will now be blogging about sewing and my travels over at my brand new blog Travel and Thread. 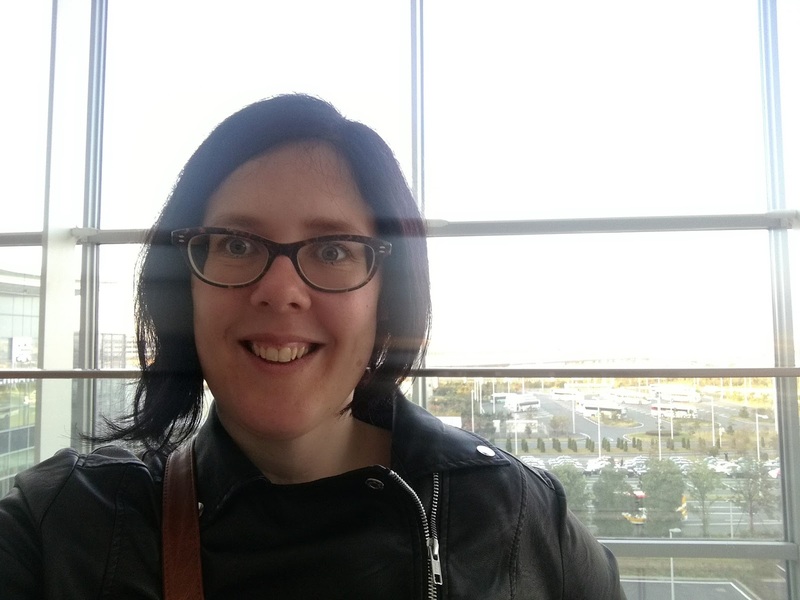 Much to my surprise, I'm mostly keeping up with my 52 Week Sewing Challenge, but I'm not really keeping up with blogging the challenge! I'm trying though - the them for Week Seven was sew something with hearts. 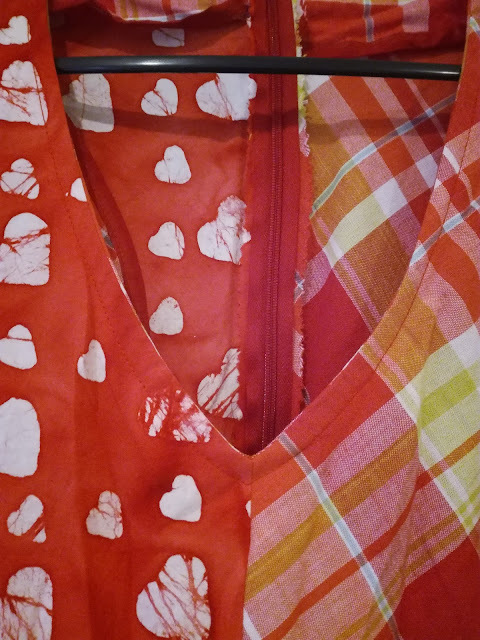 I did actually have some heart printed fabric in my stash (which isn't really surprising, given the size of my stash) but I didn't have a lot of it. 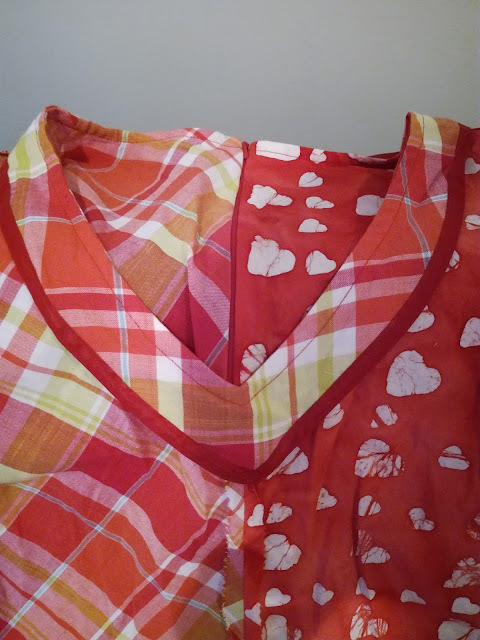 I should have really made a blouse with it, but for some reason I had my heart set on (no pun intended) making a dress, which meant it was colour blocking time. 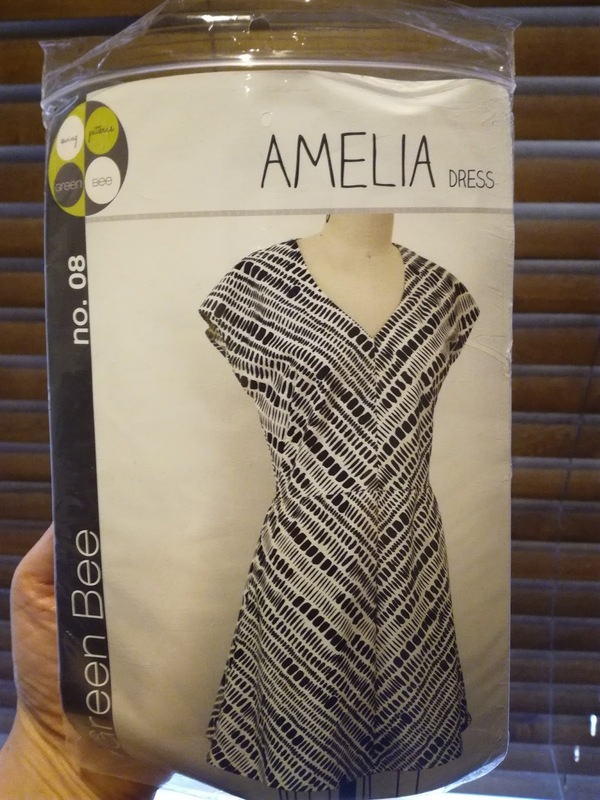 I decided to use this pattern, I've had it in my stash for a while, but I haven't made it much as in needs to be cut on the bias which uses more fabric than most of my patterns. 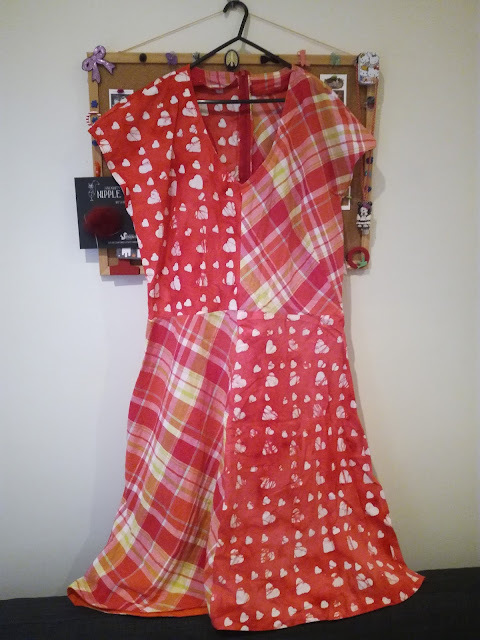 I figured seen as I was colour blocking anyway, I felt ok using additional fabric. Here's my fabric choices, the heart shaped fabric is actually batik (but I didn't buy it when I was in Indonesia, I got it from a Facebook group), although the colouring of the fabric tones went together well, when I was finished I decided that the two types of fabrics didn't really look that great together. 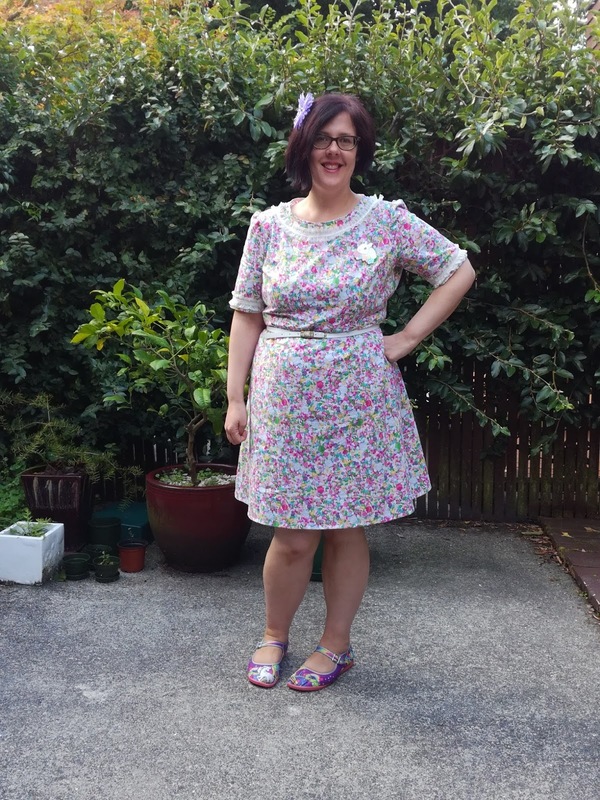 Here's the finished dress, and while it came out well, I just don't like it very much! On the upside it's well sewn, but on the down side I don't really like it and it's a little bit too big for me. I did decide to share my interfacing with you though, I added bias binding for the first time and I really like it - I think I will be doing this in all of my dress facing in the future. 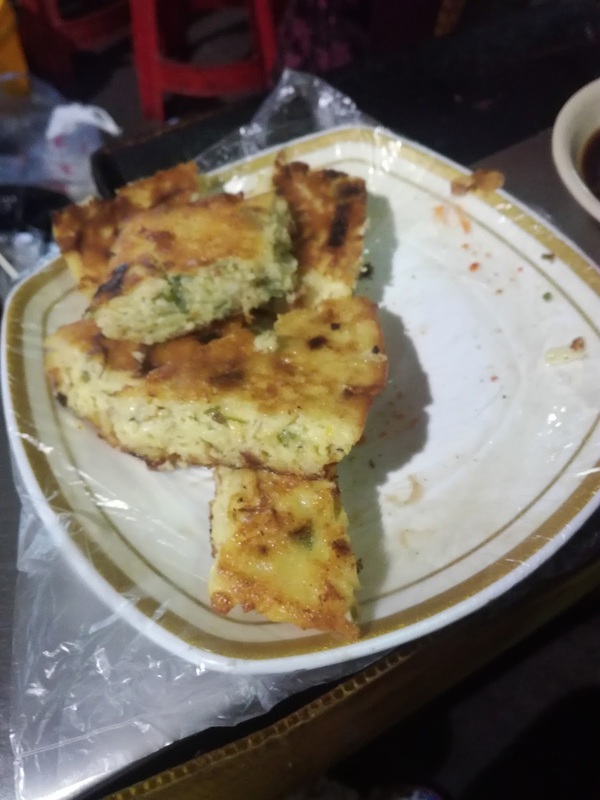 I have completed my week eight challenge which is up-cycling, and I'm pretty happy with it, so I will post about it soon. 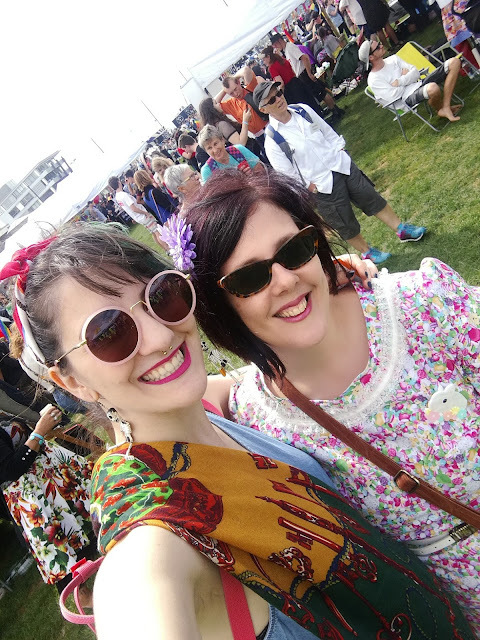 I have been doing pretty well at keeping up with my 52 week sewing challenge in terms of making - but I've been doing not so well at posting pictures of what I've made! 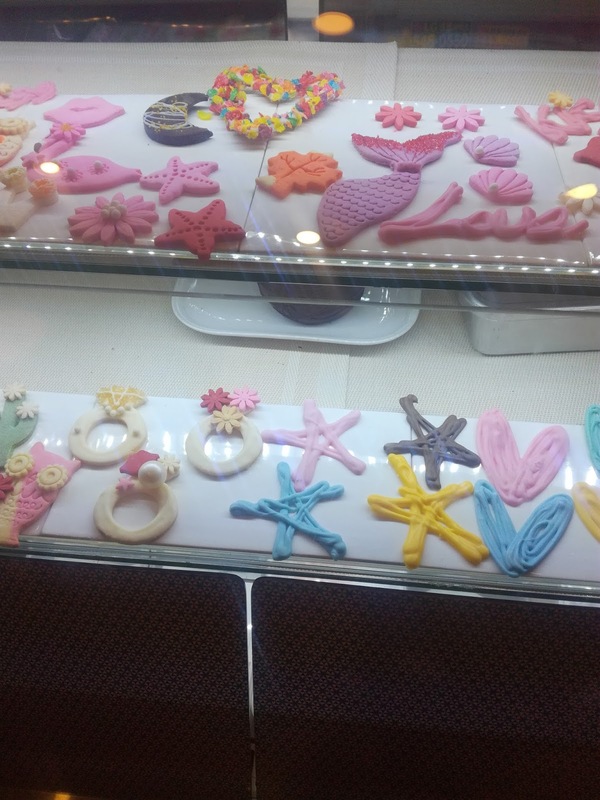 I guess the making is the most important part and the photos/blogging will come in due course! 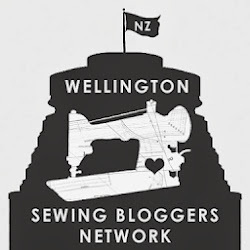 For week six the theme was "Sew something red or pink" and for some reason I don't have a tonne of either in my stash! 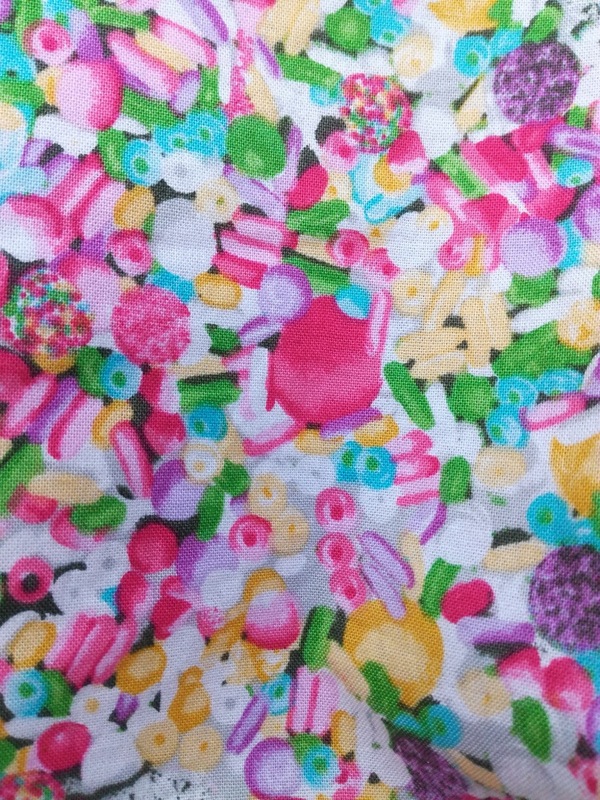 I ended up choosing this mostly pink fabric I bought some time ago from Made Marion Craft in Wellington, it caught my eye because it looks like a bunch of fun lollies. I chose to make the dress from one of my favourite tried and true patterns, the Sigma Dress by Papercut Patterns - this dress fits me so well, I really should sew up a few more of their patterns (currently I have two more Papercut Patterns in my sewing pattern stash!). 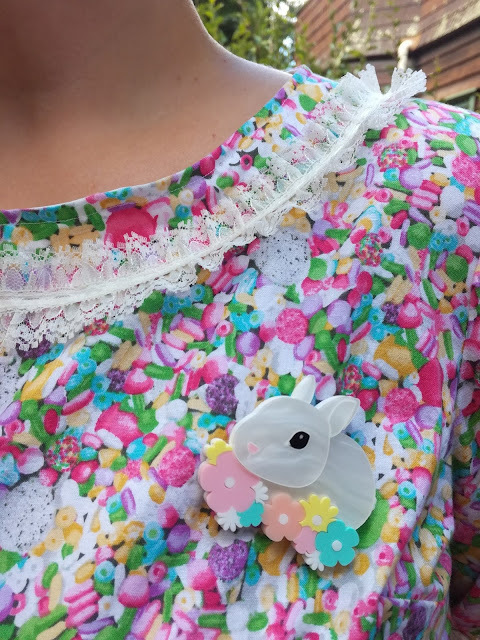 I trimmed the dress around the neckline and sleeves with some cute lace I bought from Fabric-a-Brac (it was in some random bag of trims, I can never resist a cheap bag of trims) and I wore my cute little bunny brooch from Dear Arrow. Also this seemed like the perfect outfit to wear with my "Lucy in the Sky" Hot Chocolate Shoes - Hot Chocolate Shoes are pretty much the only shoes I wear now, they are comfy and actually super fun! 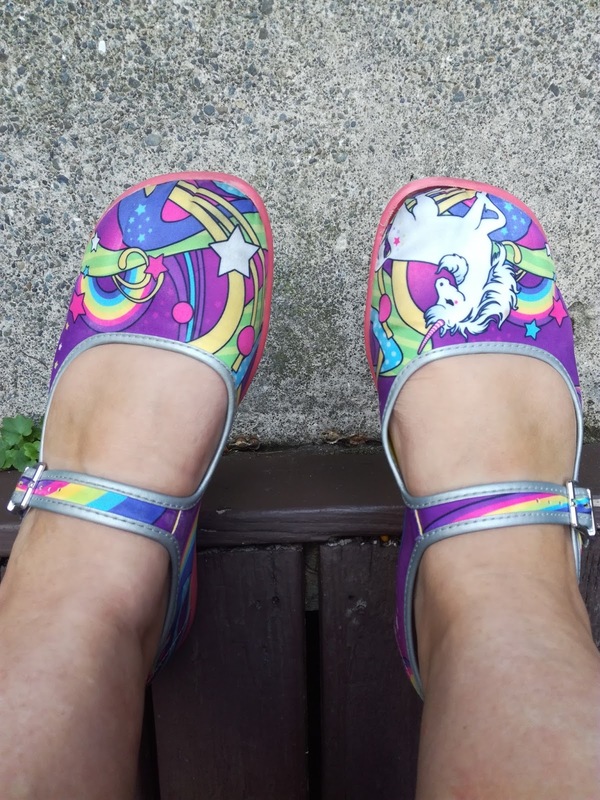 I feel like it's taken forever to find comfortable shoes that don't look "sensible". 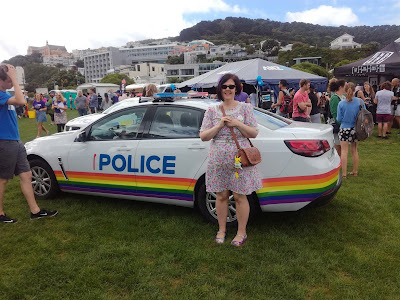 I wore my new dress out in the big wide world for the first time to go to "Out in the Park" which is part of the Wellington Pride Festival. 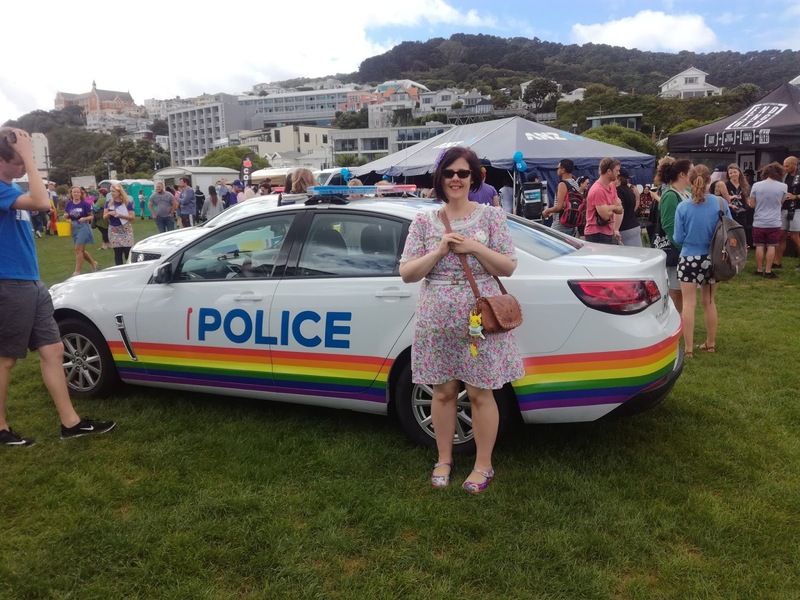 I had my photo taken with the New Zealand Police Pride Police car, like the super dork that I am. 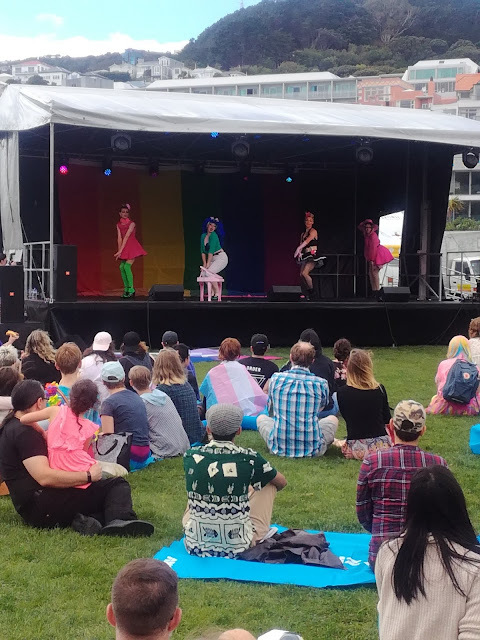 There were a lot of fun stalls from food, craftspeople and local community groups (including Cats Protection League, the shelter we adopted Mia from) and there were also a lot of amazing performances - honestly, the performances were SO GOOD! I would have happily paid to see them. We finished up having a selfie at "Out in the Park" before we left - because that's who we are as people! Hope you all have a wonderful weekend, I'm off to finish up this weeks sewing challenge - the theme is "Sew Something Upcycled". 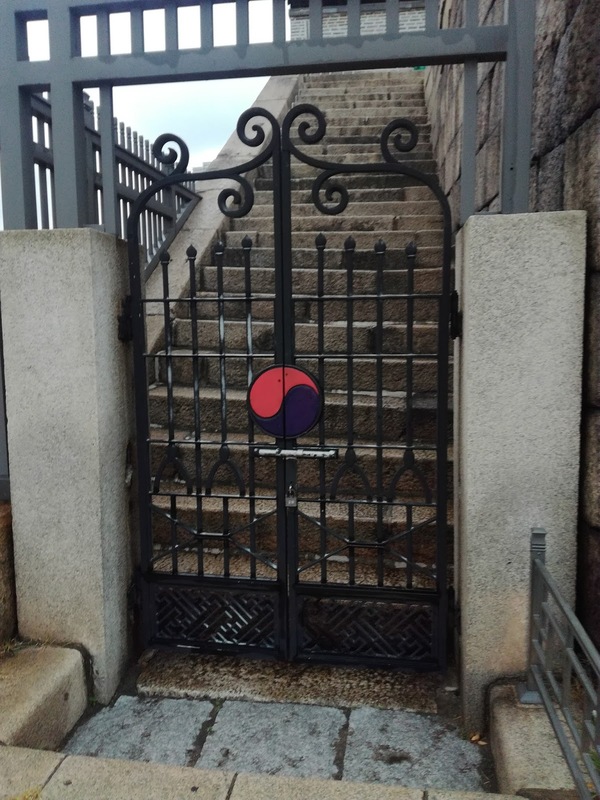 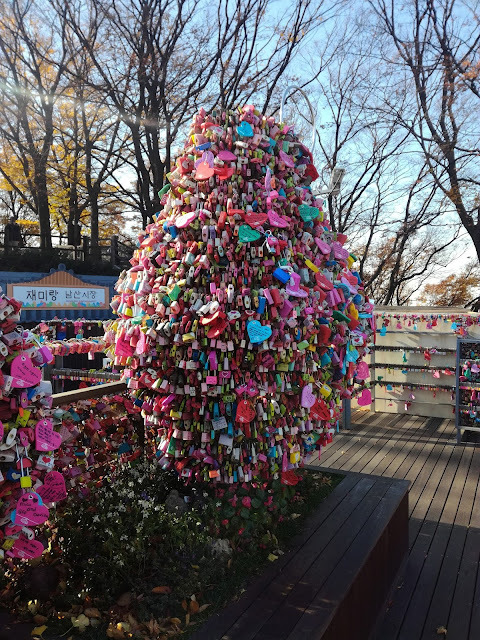 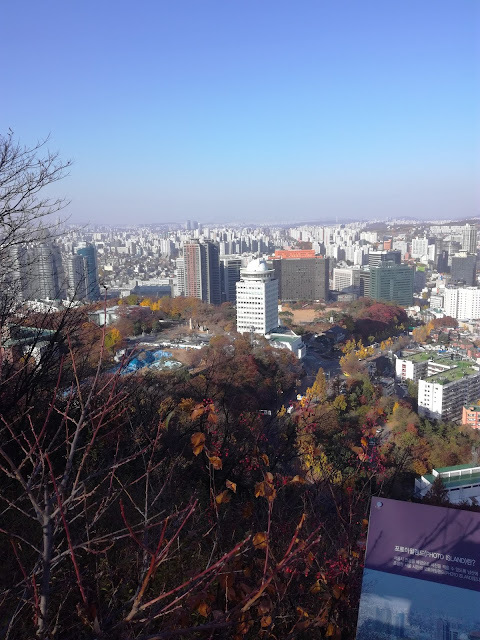 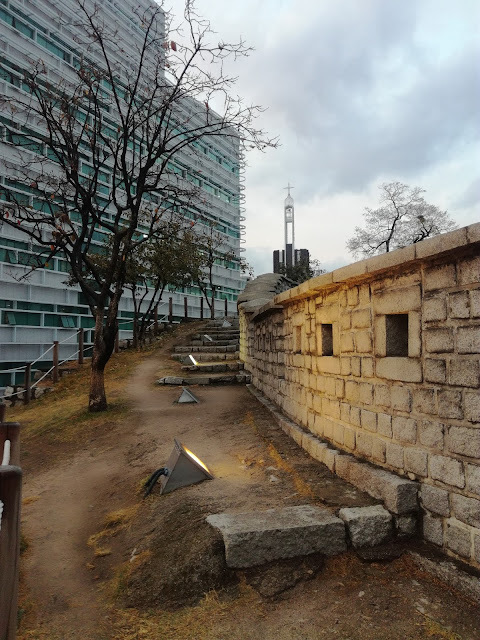 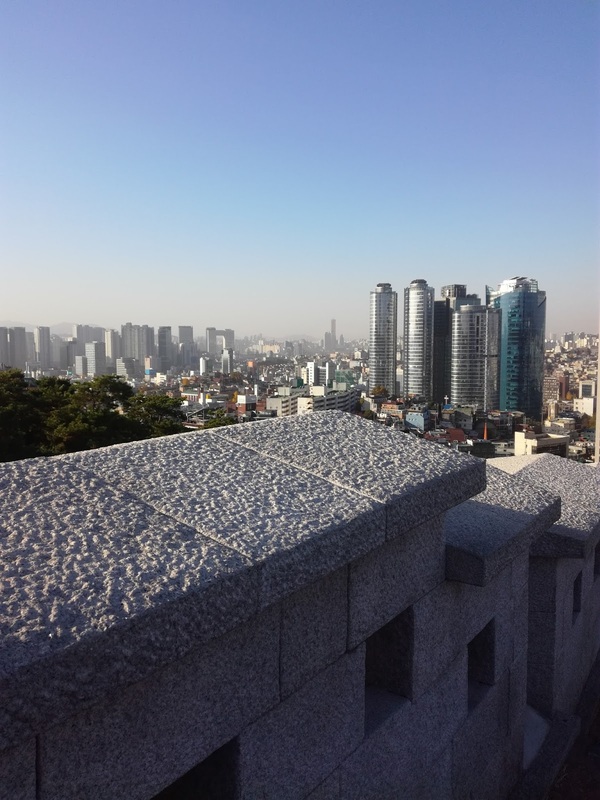 In our second day in Seoul we decided to walk up to the summit of Mount Namsan, it's really accessible from the city and easy to find as Seoul Tower as at the summit. 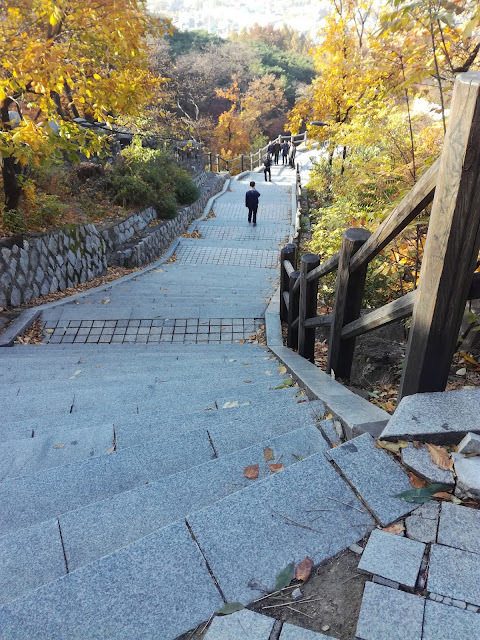 The walk to the summit wasn't too difficult, there were a lot of stairs, but they were all well formed and easy to climb. 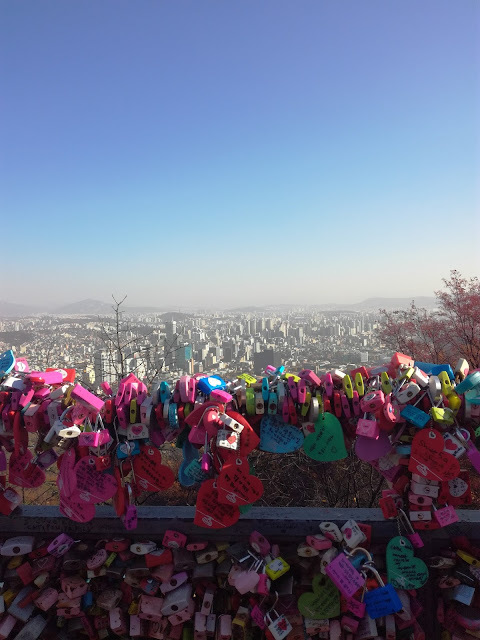 Also it was worth walking up them all for the views! The view from the lookout which was about halfway to the summit was pretty amazing, it gives you an idea of just how big Seoul really is! One of the fun things we saw at the summit was these fancy padlocks - so many padlocks!! 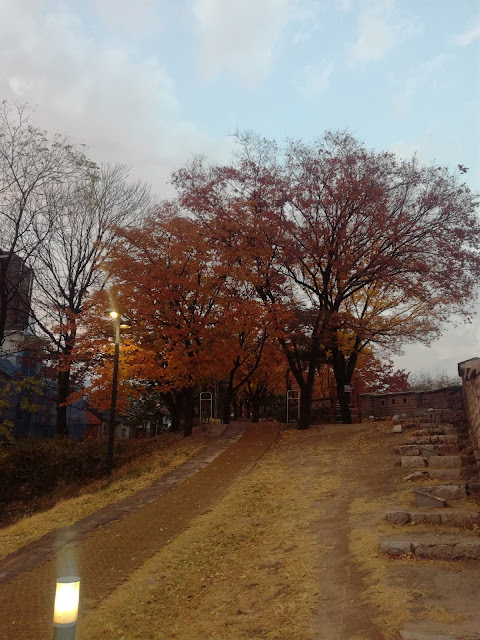 They weren't on Mount Namsam when we used to live in Korea, but I thought they were really fun. 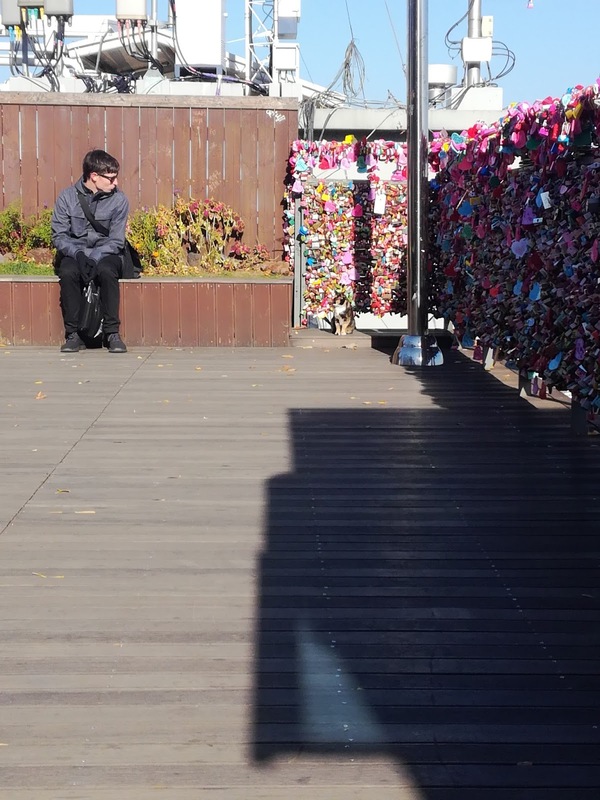 Also we met at cat whilst checking out all the padlock (pat all the cats!). 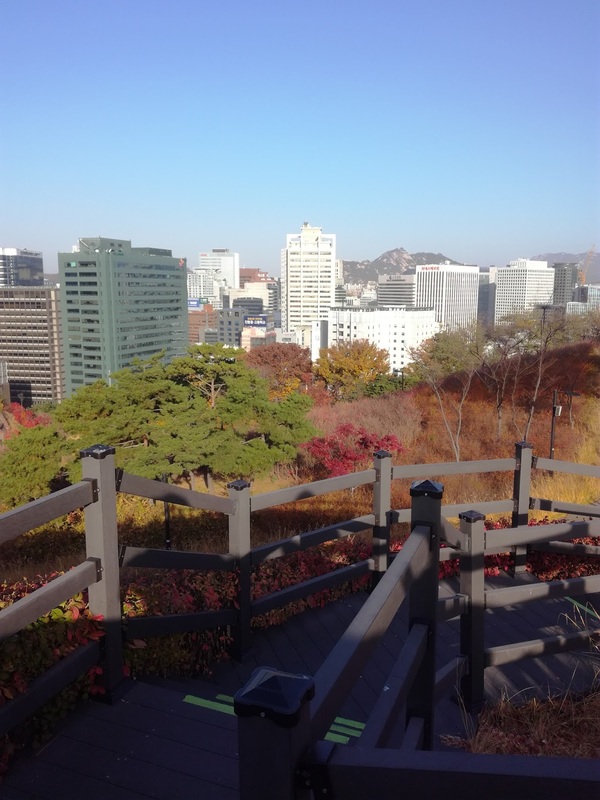 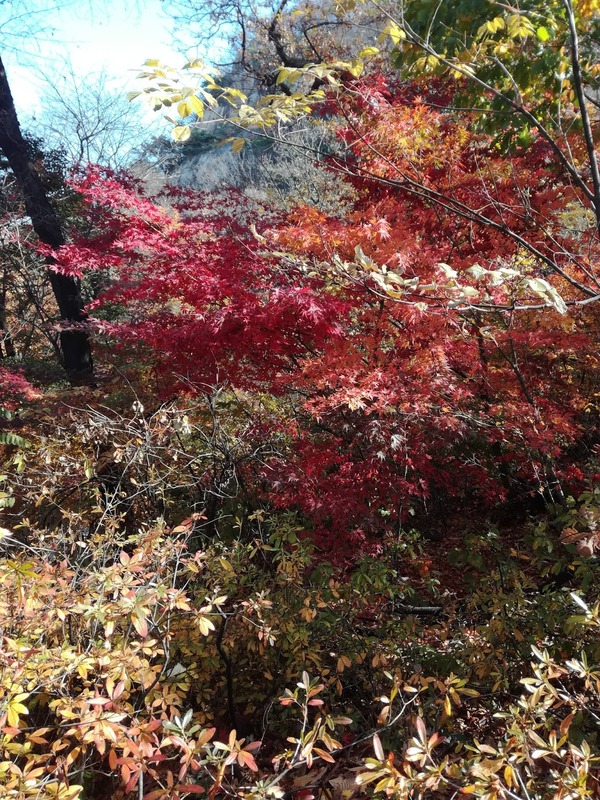 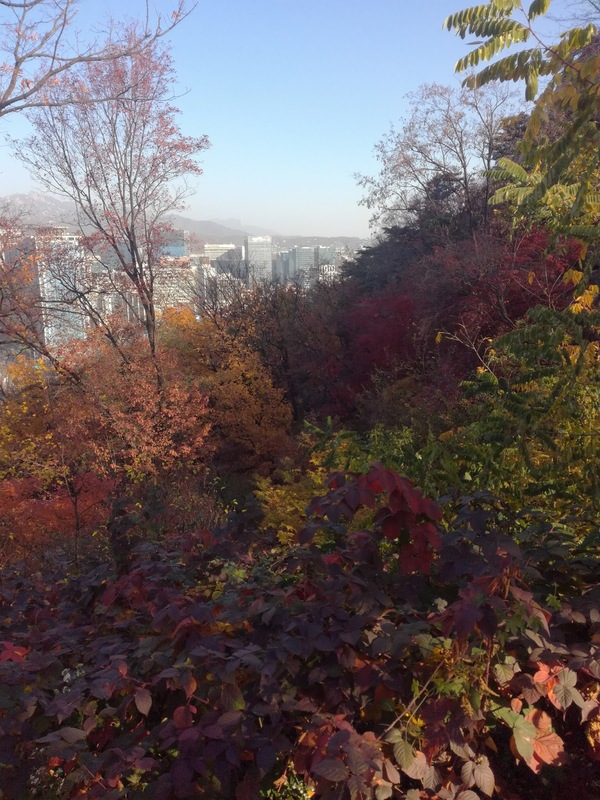 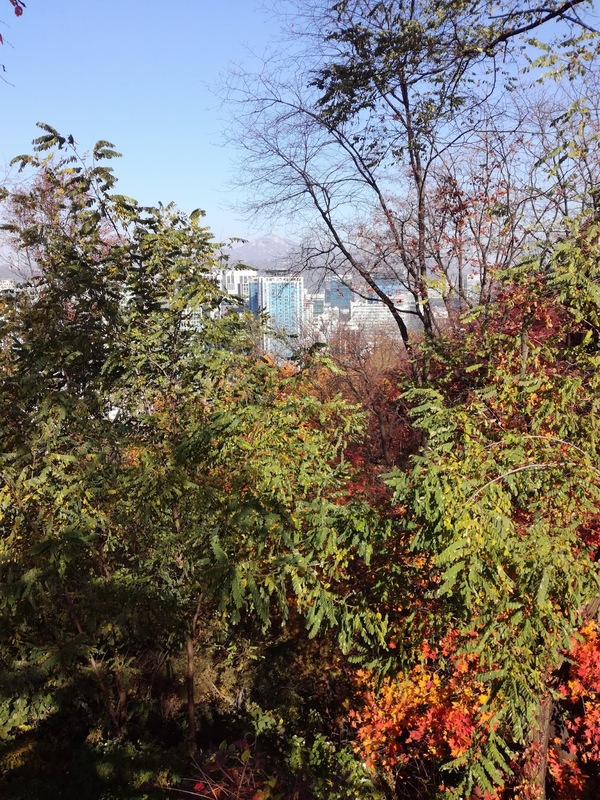 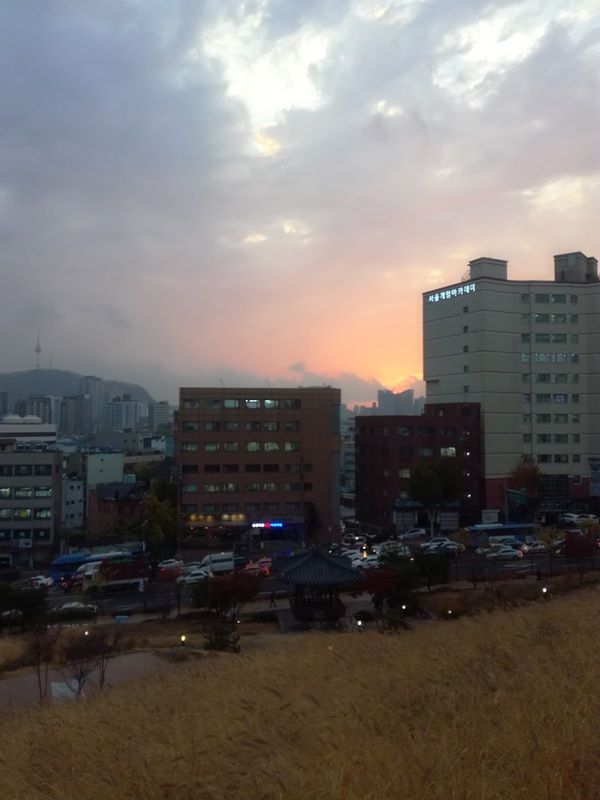 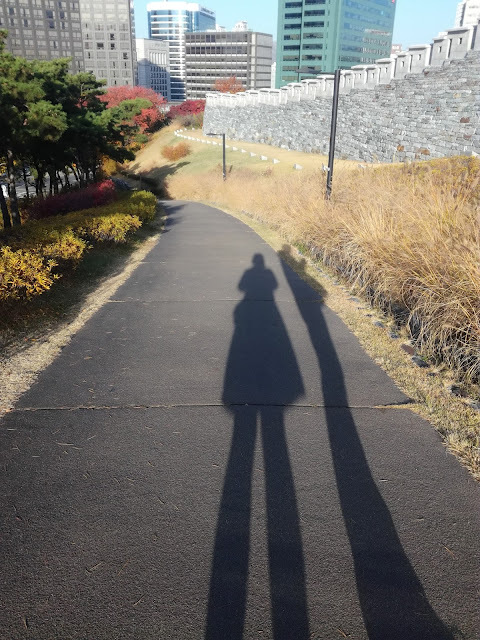 We were lucky enough to visit Seoul in autumn, so the leaves were changing colour and they were so pretty! We finished up the day by hanging with our friend Joseph, I didn't take too many photos as we were just hanging out and catching up! 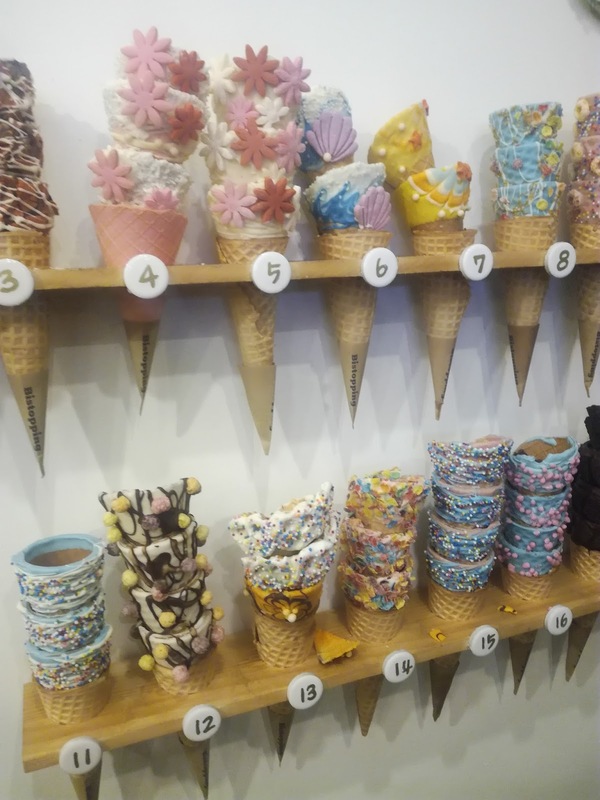 But later in the evening we went to get an ice cream at Bistopping, I had been obsessively following their instagram for months, so I was so excited to visits! This ice cream was pretty expensive (I think about $NZ13) but it was worth it! 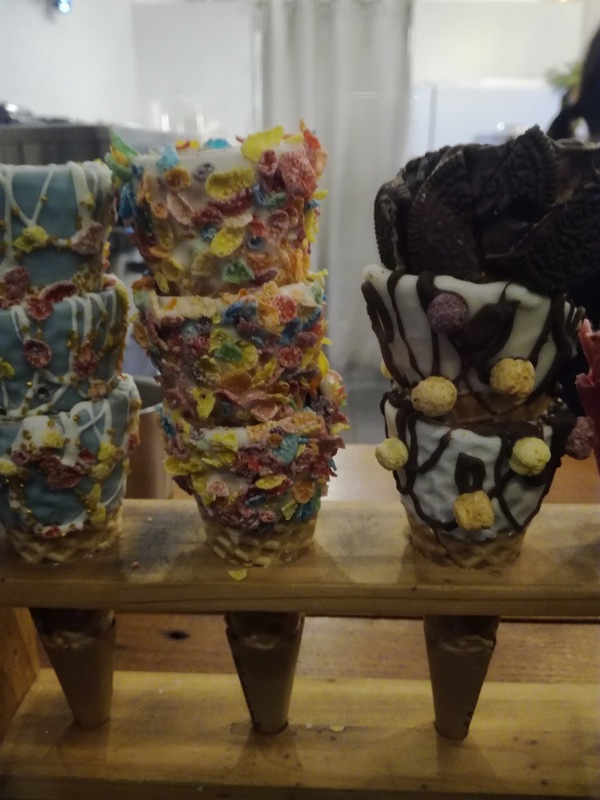 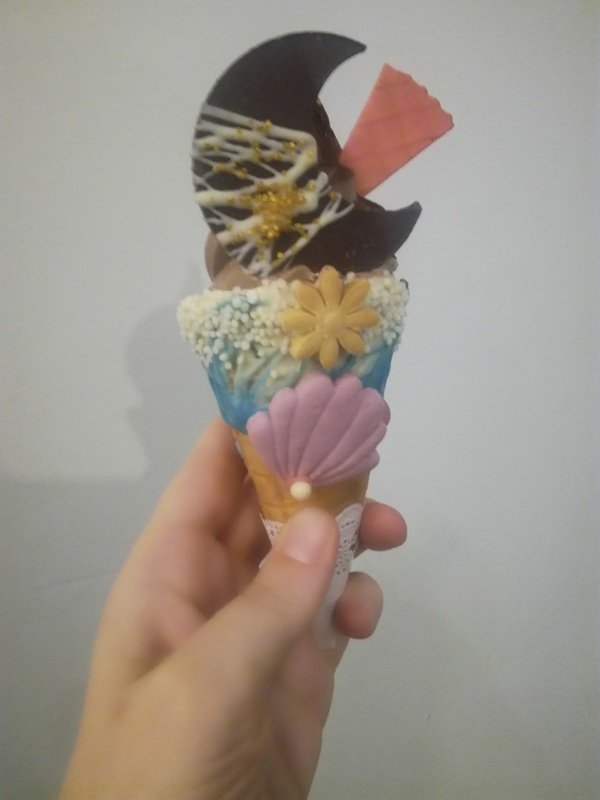 You get to choose a fancy cone and toppings - I loved my mermaid cone! 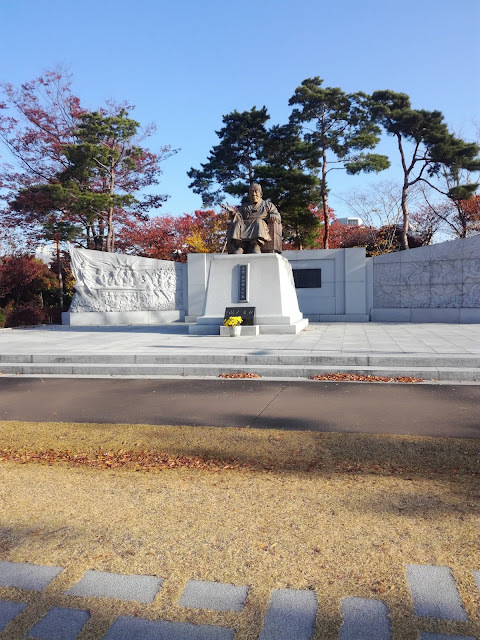 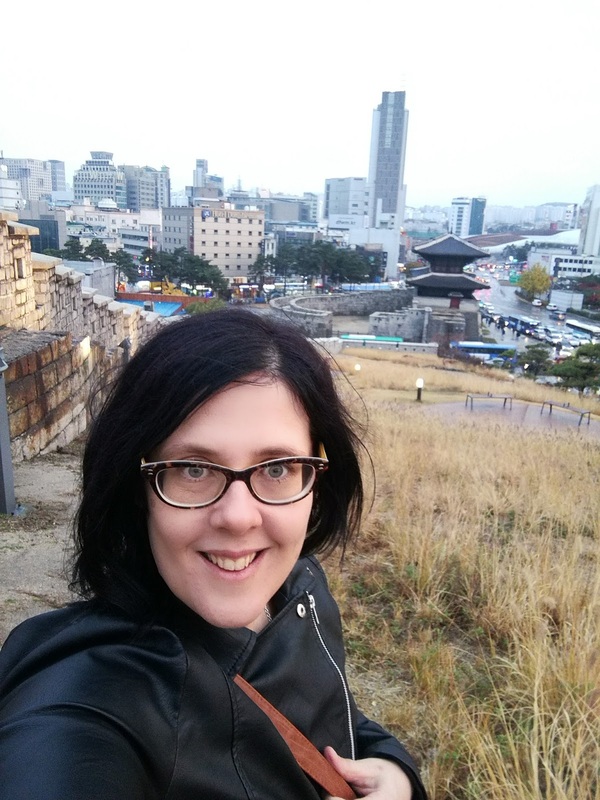 I've been meaning to write a series of posts for a while about our trip to South Korea and Japan in November/December at the end of last year - looks like I'm finally getting around to it! It took us a while to actually get to Seoul, we originally bought flights on Qantas to travel to Wellington to Tokyo. 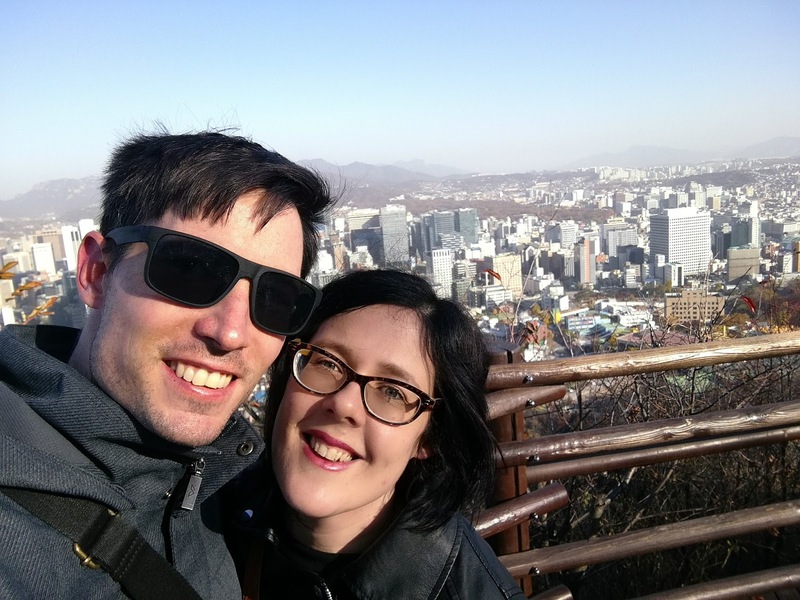 However, we decided we wanted to go to Seoul as well so our flights were from Wellington to Sydney to Tokyo (Haneda) to Seoul (Gimpo) by the time we finally arrived, we were exhausted (the photo about was taken at Haneda airport). 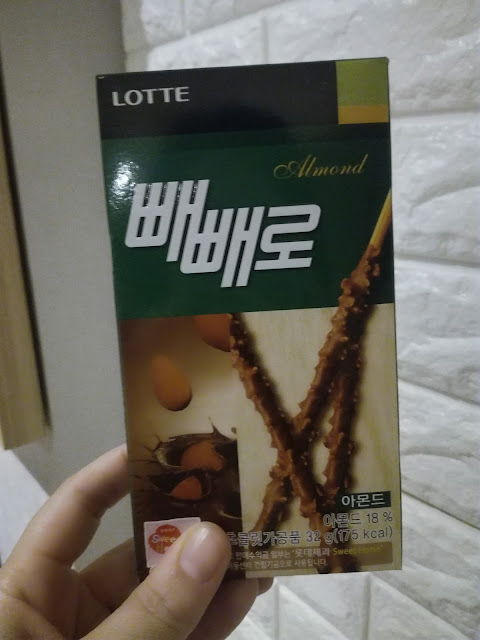 However, when we arrived in South Korea it was Pepero Day which means when we arrived at out hotel we got free Pepero (my favourite type, with almonds). 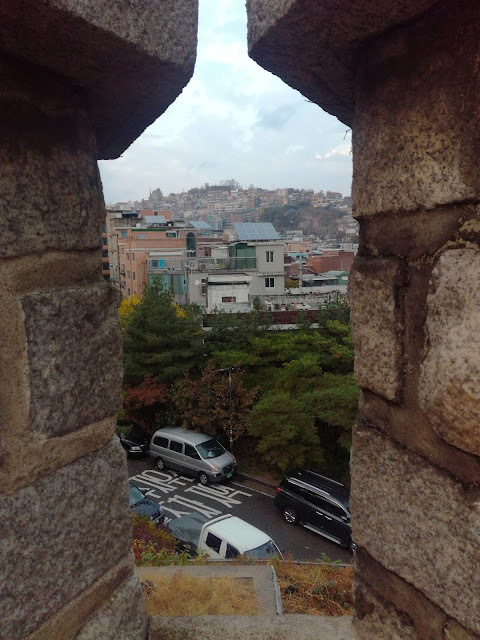 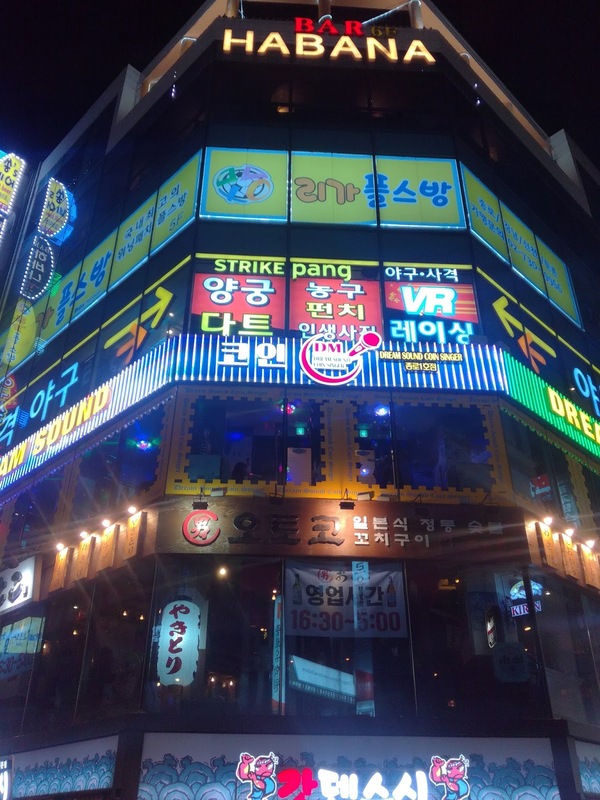 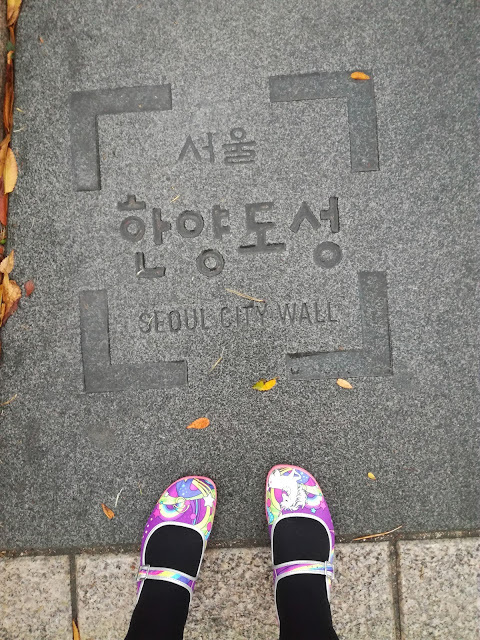 When we arrived in Seoul, despite being exhausted, we decided to start our adventures by exploring straight away. 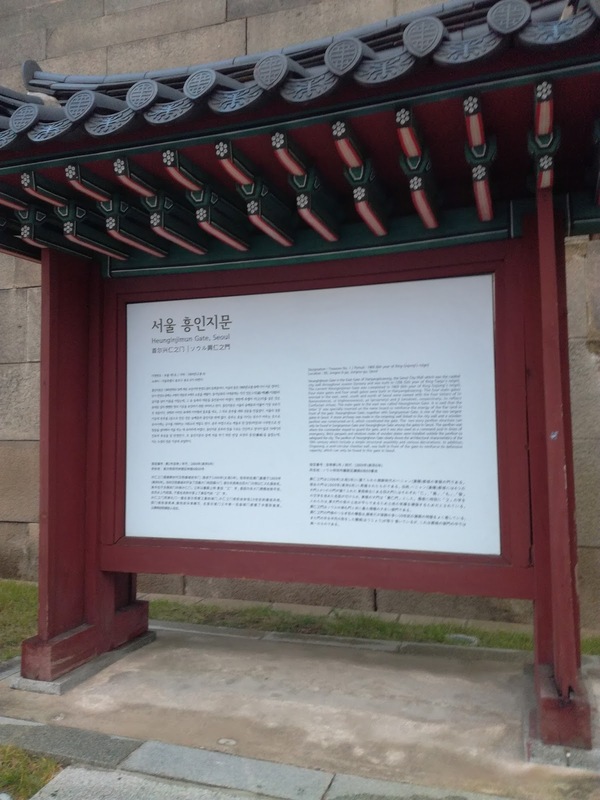 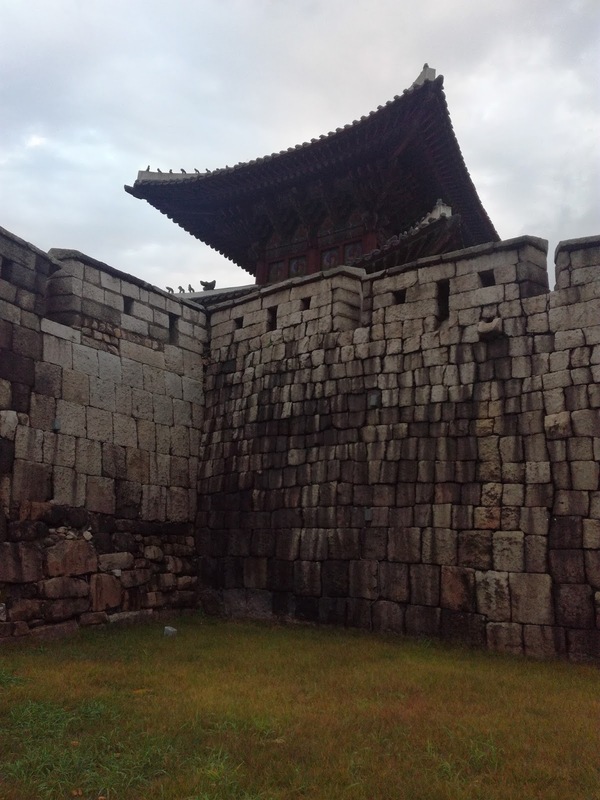 We decided we'd spend our first afternoon/evening exploring Dongdamun - beginning with the amazing gate. 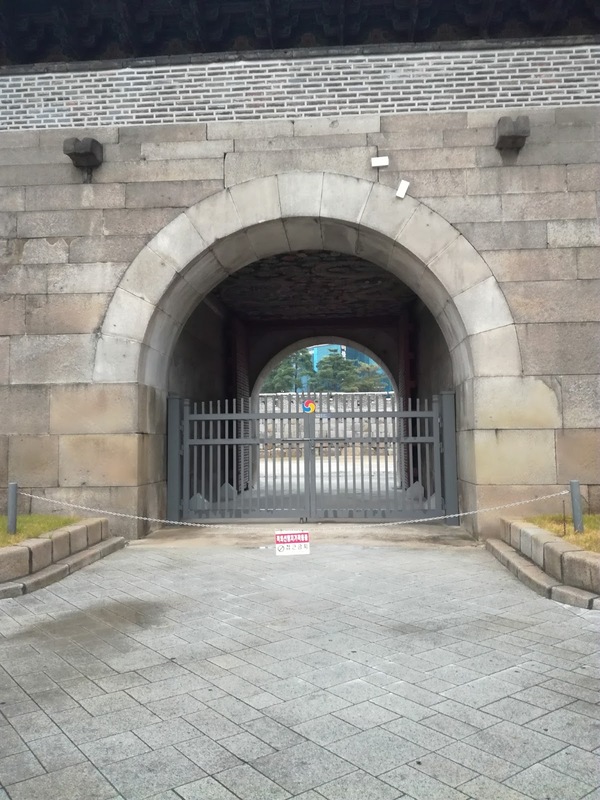 If you are ever in Seoul, you should check out the city gates, they are really quite striking. 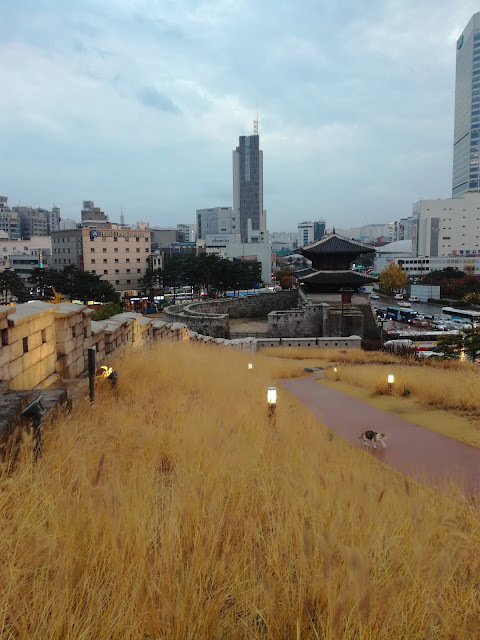 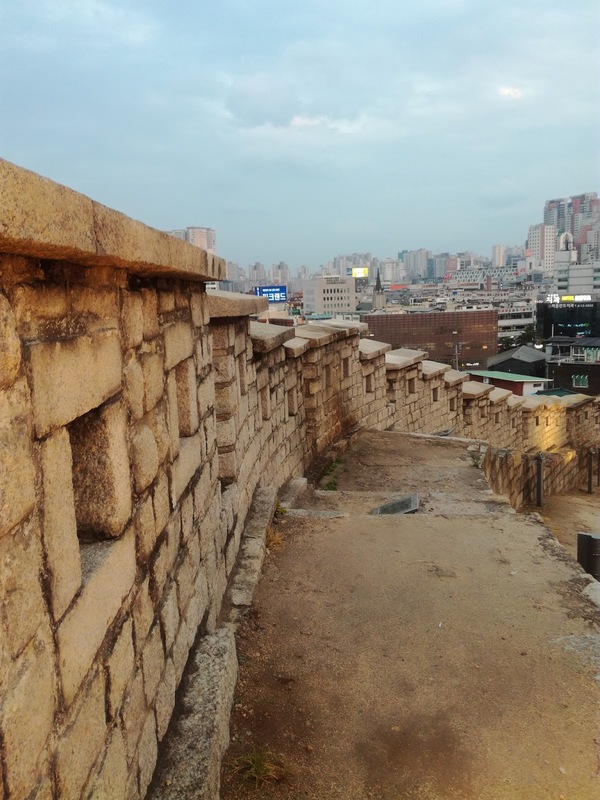 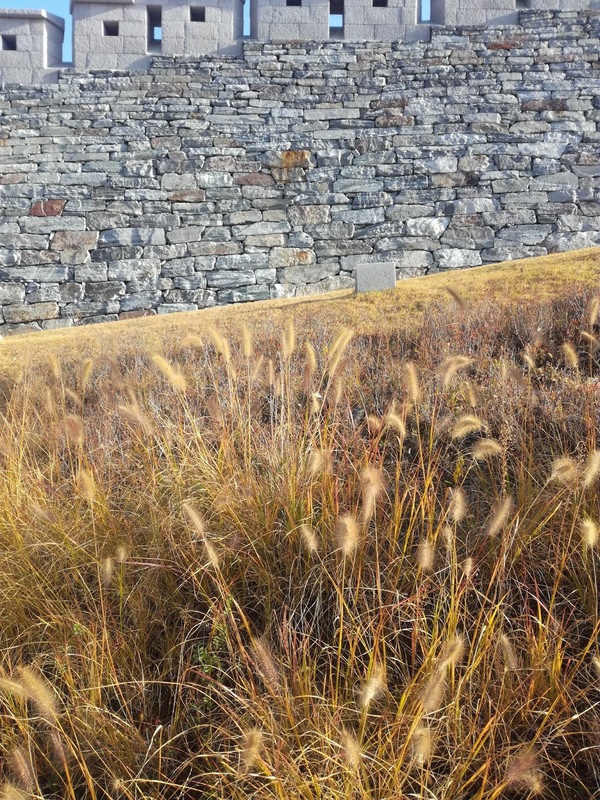 After the gate, we decided to check out the walkway along the city wall - the city wall had been destroyed but the city has begun to recreate the wall with accompanying walkways and it's pretty amazing. 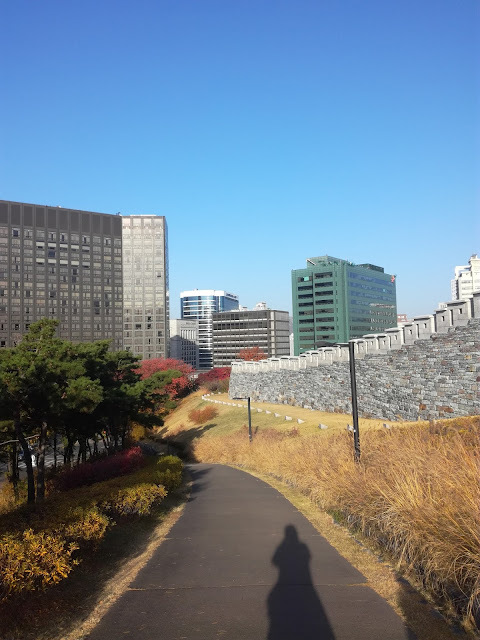 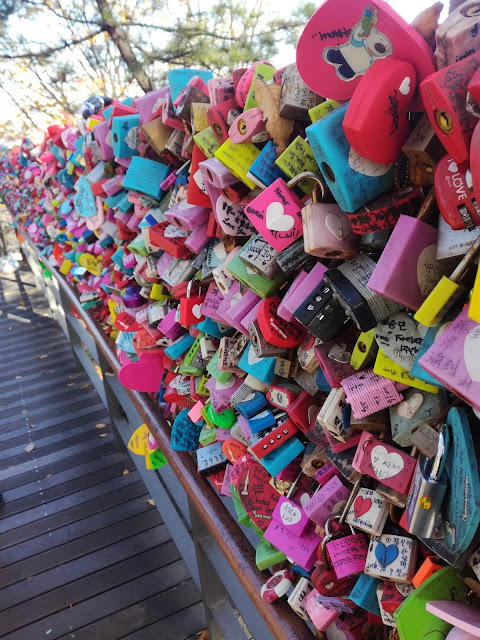 If we had more time in Seoul I would have loved to have walk the entire walkway. 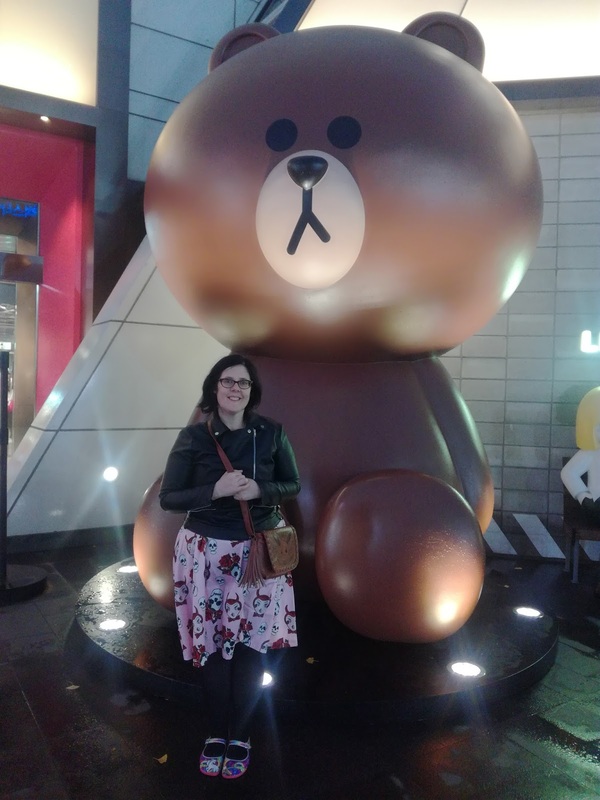 After checking out the walkway for a while, we decided to have a look around some the shopping area and I made a new friend. 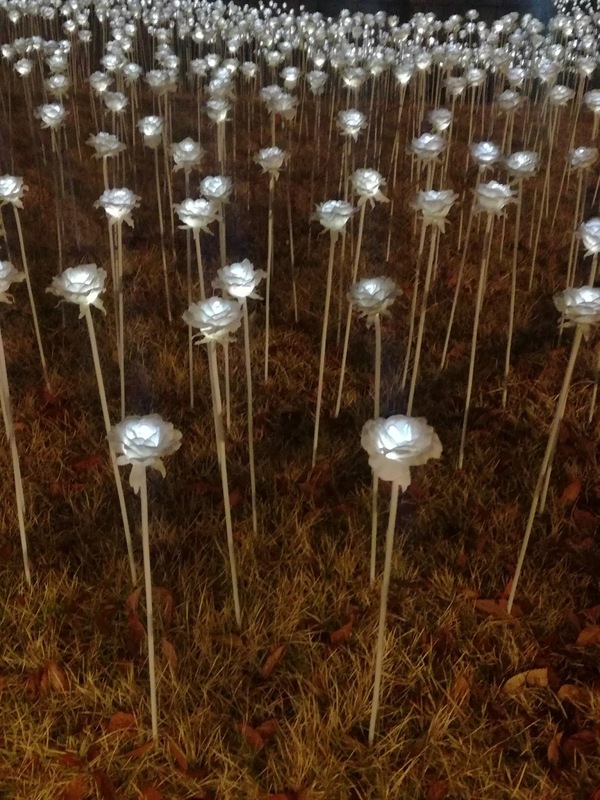 We also check found a light show display, which was a fun surprise! 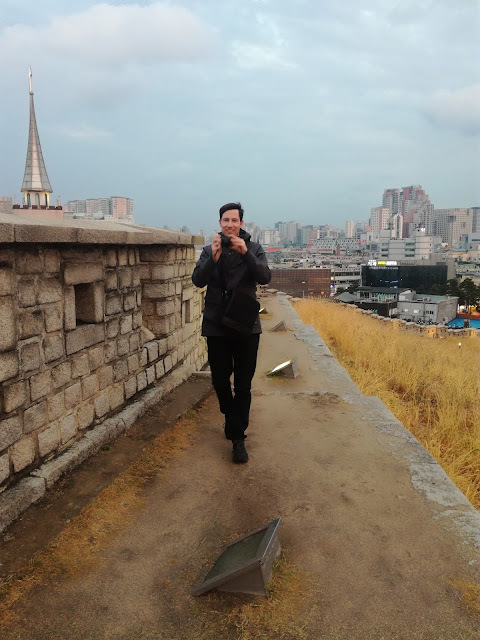 The weather was a less fun surprise (it was raining on and off). 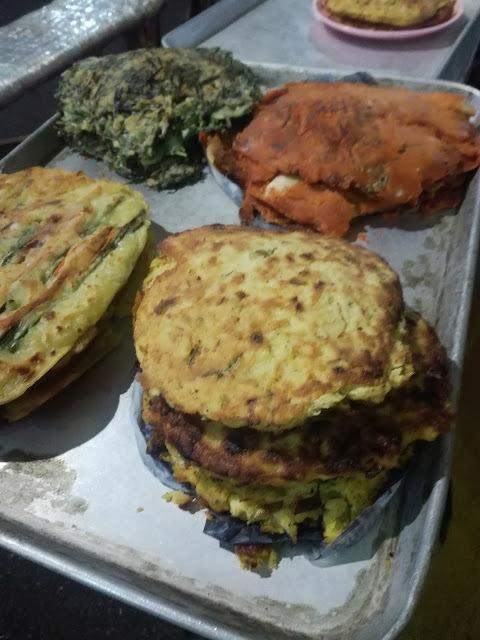 We decided to have some dinner in Dongdaemun and came across a small stall where a lady was making some delicious buchimgae (Korean Pancake). 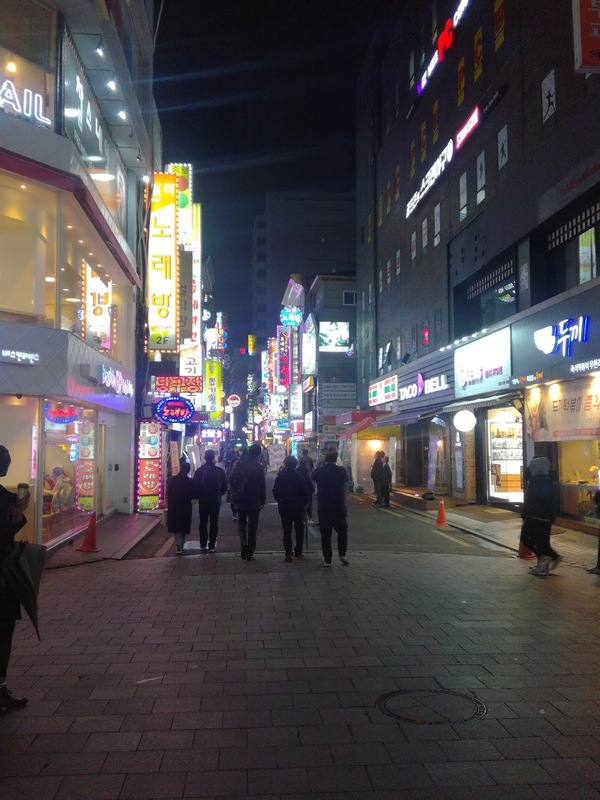 We finished off the evening by wandering back to our hotel, taking in all the sites of the city. 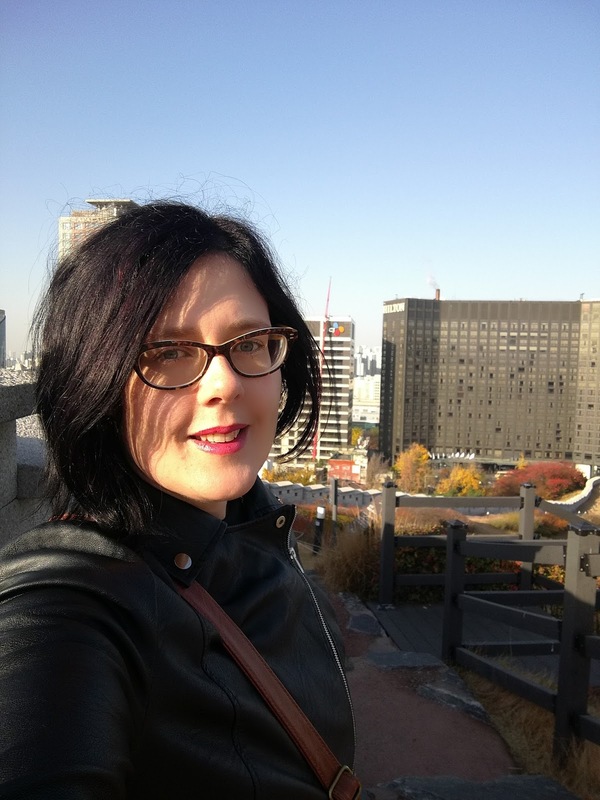 I love fashion, zombies, craft, travel, cupcakes, horror movies, Hello Kitty, music and anything a little bit creepy and cute.